New Covertape Chaos Season begins soon, and other news! At the moment, assuming the world doesn't end first or something, I am planning to start Covertape Chaos Season 5 on Tuesday April 2nd, with new episodes every fortnight until we finish off with Power Pack 64. As you many know, there were actually only 61 official Power Packs, but the Commodore Format blog have produced three more since the mag closed down for good. All of this will take us most of the way through the rest of 2019, but that doesn't mean that I'm not already thinking about what to do with the series after that. There are several directions that I could go in - I could go through all of the ZZAP Megatapes, I could morph the series into Coverdisc Chaos and look at Amiga demo discs, or I could change it up even more and look at the CD's that came on the front of Official Dreamcast Magazine. PlayStation demo discs are also a possibility, but I feel that these are already pretty well catered for thanks to Giant Bomb's Demo Derby series. What do you think I should do? Other than that I really need to get PS2 Tuesday's Season 5 finished off. I was doing quite well at the start of the year with three new episodes, but after that there has been a gap again. I still owe everyone three more. I also need to crack on with The A-Z of Amiga, make some more RetroGrade episodes, and throw in a few other types of video here and there to keep things interesting for myself, such as Time for a Wii and Last Gen Regen. 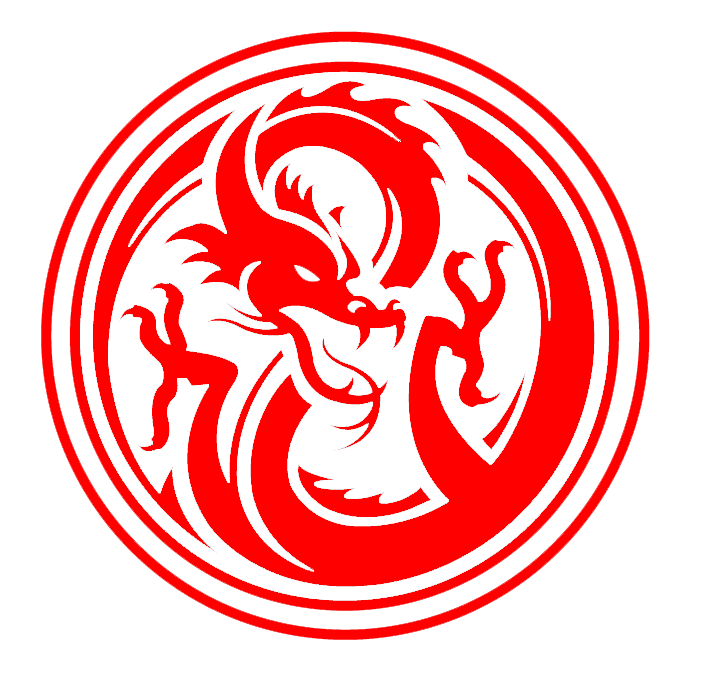 I am making slow but steady progress through Dragon Age: Inquisition. I want to explore the last three or four world areas that that I have yet to visit, then I will tackle the end of the main story. After that I'll put together my review, and then get started on the DLC. Give me another few weeks and I should have something for you. I've also been spending a considerable amount of time with The Division 2 lately - my character is level 22 right now. I might be able to to get to level 30, choose my specialisation and get started on the World Tiers this weekend, I shall have to see how much free time I have. I do hope to review the game eventually. Looking to the future, we have Days Gone coming out next month which I was not terribly interested in to begin with, but having watched a few videos about it I have to say it does look pretty impressive. 2019 is looking a bit thin compared to last year right now, but there are a few games that I'm looking forward to. Rage 2 could be pretty good, and I love a good kart racer so I am quite excited about the prospect of Team Sonic Racing and Crash Team Racing: Nitro Fueled. I don't know if we're likely to see the finished version of Torchlight: Frontiers this year as well, but sign me up for that on day one if it is. Hopefully it will get a console release, it was disappointing that Torchlight 2 was never ported to anything. Finally, I want to try and get to back to writing on this blog more often, rather than just making videos on the YouTube channel. Sometime I end up wanting to talk about a game but I didn't capture any footage as I went along - in these cases a written review makes perfect sense and gives readers something of an exclusive. 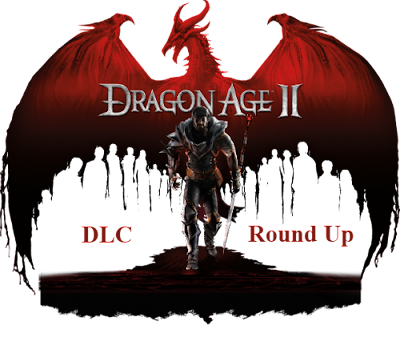 My Dragon Age series retrospective continues today with the DLC round up for Dragon Age II. Like my round up for Dragon Age: Origins, I will be focusing on stuff that actually adds story content, and not all of the various items that were sold in packs or given away for free for various reasons. The Black Emporium is a curiosity shop full of strange creatures, items and relics ran by the mysterious and rather creepy Xenon, but unfortunately there's not a lot to it. It's fun to look around for 15 minutes or so investigate all the weird stuff that's on display, but there's not really a lot to do. You can buy some equipment which changes out every so often, but you will probably find better stuff on your travels anyway. You can also change your appearance if you don't like how your Hawke turned out or you get bored of it. You also get a mabari hound as part of the deal, who you can summon in combat and talk to at the Hawke estate. One mustn't grumble too much as this is a freebie, but it's not terribly exciting all things considered. This is the Dragon Age II equivalent of The Stone Prisoner from Origins, seeing as it adds a new recruitable character to the game who is as fully fleshed out and integrated into the experience as any of the others that were included for free. But whereas Shale was a well written, extremely funny and interesting character with an interesting back story to uncover, Sebastien Vael is rather dull in comparison. He was sent away by his parents to become a member of the chantry, only for his family to be murdered shortly after he arrived in Kirkwall. Now he's trying to find out who was responsible and weighing up whether to abandon his religious pursuits in the name of revenge or put try and put the hatred he feels aside and embrace the teachings of the chantry. It's not terrible, just a little bit bland compared to what has come before, not to mention overpriced. If you have already played both Dragon Age II and Inquisition, but skipped this DLC, then it may actually be of some interest to you. Hawke travels to a recently exposed part of the Deep Roads after being called out by members of the Carta (essentially a dwarven version of the Mafia). It turns out that they are trying to bring back creature by the name of Corypheus that Hawkes father had a hand in imprisoning during his time as a Grey Warden. Corypheus was a major player in Inquisition, and he was introduced here. This pack is actually pretty decent, and as well as some important back story you also get a nice new weapon in the form of Hawke's Key, which you get to personalise a little bit by choosing which attributes it gets powered up with. This DLC also feels more substantial than anything that was released for Origins, at around 3 hours if you do everything. Worth a look! While not as important from a story point of view, Mark of the Assassin is a lot of fun. You team up with the titular assassin, Talis (voiced and modelled on the appearance of Felicia Day) and head off to Chateau Haine in Orlais to try and steal a valuable artifact called the Heart of the Many. During your time with this DLC you will go on a big game hunt for a wyvern, explore the chateau either with the option to go loud or stealthily, before experiencing some interesting twists with an entertaining boss battle at the end. I sometimes find Felicia Day annoying but she is at least a decent actress who delivers her lines well and makes a convincing elf. I think this is the best DLC of all the stuff that was released for Dragon Age II and it's fitting that it was the last. Again it weighs in at about 3 hours of content if you take your time, explore and complete all of the side quests. With the exception of The Black Emporium which is free, I would say that all of the Dragon Age II DLC is just a tad too expensive for my liking. Unlike Dragon Age: Origins though there is no complete or ultimate edition that I know of, at least for the Xbox 360, which is a shame. These are included in sales every so often though, so it's worth holding out for one of those before you decide to pick them up. On the whole the quality level has increased compared to Origins, apart from the extra party member where Shale was most definitely better than Sebastien. That brings us to the end of Dragon Age II then - I will soon be embarking on my play through of Inquisition. I was thinking I might try playing as a Qunari, as previously I have played it as an elf and a human. I expect there will be a bit of a gap before I return with my Inquisition review as it is extremely long and I don't want to burn out before the end due to rushing through it. There will be other stuff on the site / channel in the meantime though! 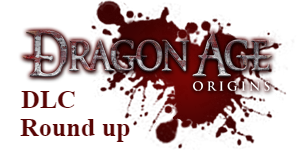 Now, I do realise that this is somewhat overdue, seeing as Dragon Age: Origins was originally released way back in 2009, but I never got around to writing about all of the various DLC that Bioware made in the years following the main game. I am currently in the process of replaying the entire Dragon Age series from beginning to end, so what better time to share my thoughts will you all about the optional extra content? This article will be focusing on the DLC that is quest related, rather than those that just add some extra weapons or armour. There will be a short summary on each pack followed by a score out of 10. I won't be including Awakening here because that is full on expansion pack which already has its own, separate review. This is a fairly brief, but useful bit of extra content that gives you a quest that will take roughly 45 minutes to complete at the most. When you're done, your warden will have a new base of operations, although that doesn't really mean very much. It mostly just gives you access to a party storage chest where you can dump your loot in between quests, and a vendor to sell the junk to. The quest itself is quite good fun with some interesting lore to listen to or read in the codex, and there are some moral choices to be made at the end. It's not worth the rather steep price of almost a fiver, either wait for a DLC sale or buy the Ultimate Edition instead. This is quite easily my favourite of all of the extra content released for Dragon Age: Origins, and I can't really imagine playing through the game without it. The Stone Prisoner adds an extra recruitable party member to the main game, in the form of Shale, a golem. There's an introductory quest that needs to be completed in order to add her to your party, which takes about half an hour. After that you can bring Shale along on any quest that you see fit, and chat with her in camp. She is a very well written and interesting character who has some very amusing dialogue and a bit of a problem with mages and birds. By increasing your standing with her through dialogue options or gifts, you can eventually unlock a loyalty mission which will give you some insight on her backstory, which is well worth taking a bit of extra time to do. Shale ends up being one of best party members in the game, and because there's no cost involved you may as well install her! This one adds about 45 minutes of extra content again, and allows you to return to the battlefield of Ostagar, which is where the Grey Wardens were betrayed by Tehyrn Loghain at the start of the game and King Cailan lost his life. Your task here is to recover all of Cailan's armour from the darkspawn that are still lurking about, ending with a final confrontation with a nasty Genlock Necromancer. After that, you should return to Cailan's mutilated body and give him the burial he deserves. This DLC reminded me very much of the Normandy Crash Site DLC for Mass Effect 2. It is similar in tone and purpose. Not too bad, but nothing all that spectacular really. This DLC lets you play out a "what if" scenario, where the darskpawn end up winning during the invasion of Denerim at the end of the main game. You take control of a Hurlock who hear's the whispers of the archdemon and can enthrall other darkspawn units such as genlocks, shrieks and even an ogre. This one takes roughly an hour and a half to finish, and it's a bit of mindless fun really. Laying waste to the hero's from the main campaign does give you a bit of a sick thrill. This takes the form of a prologue to the main campaign and gives you some insight into the backstory of Leliana, the rogue who became a member of the chantry for a time, before eventually joining up with the Wardens. You will be carrying out a variety of crimes in and around Denerim alongside your partner, and lover, Marjolaine. Those who have spoken to Leliana extensively in camp will know that Marjolaine ended up betraying her and leaving her for dead - now you can get the full, sad story. This is probably the best DLC so far after The Stone Prisoner, as it actually focuses on a character that I already care about. This is probably my least favourite of all the DLC that was released for Dragon Age. The main reason for this is that it doesn't feature any of the party members that you have formed a bond with over the many hours that you spent from them, and instead introduces a couple of dwarves that are looking for assistance in recovering the lost secrets of golem creation from the ancient fortress of Amgarrak. It's another very brief tale at around a single hour - not enough time to get to know these new characters or care about them. It's also punishingly difficult, and it's highly recommended that you don't attempt it until you've completed the Awakening expansion. I did quite like the design of the new creature that is introduced, called the Harvester, though it did remind me of the polymorph from Red Dwarf a little bit. This DLC isn't worth seeking out individually, but you may as well play it if you obtained it as part of the Ultimate Edition. Witch Hunt is another incredibly brief, and somewhat underwhelming piece of extra content. Like many of the others, it weighs in at roughly an hour. This one actually had a lot of potential because it sees the return of Morrigan, a very popular character from the main game excellently voiced by Claudia Black. After the final battle with the Archdemon, she took her leave from the party and requested that you never go looking for her. Well, here you are, looking for her. The final conversation with Morrigan is incredibly brief and after its over the end credits roll and that's it. I would have liked the chance to have a quick chat with Finn and Ariane, your new companions that you barely have any opportunity to get to know. It's a shame you don't, because their dialogue is well written and humorous and I would have welcomed more of it. Instead of going out on a bang with its last adventure, Dragon Age: Origins fizzles out instead, which is incredibly frustrating. Overall I would say that the DLC for Dragon Age: Origins is worth playing through at least once if you are a fan of the original game. Most of these packs are pretty brief however and are definitely not worth paying the full amount for in 2019. However there is a solution - the Ultimate Edition of the game includes everything listed here as well as the Awakening expansion, and because everything is included on a second physical disk you can buy a second hand copy safe in the knowledge that you will still be able to access everything (as long as the DLC disk isn't missing, of course). This is definitely the cheapest way to get ahold of everything - copies go for a bout £15 on Amazon and eBay. While most of these only add an hour or two of game play at the most, it all adds up to an extremely solid package that I think is still worth a punt, despite the rather dated visuals. One last thing - I wasn't sure if the the Ultimate Edition would work properly on the Xbox One, because you install the DLC from a second disk, put apparently it does work after you jump through a few hoops. Apparently you should install the DLC disk first, then the main play disk, then put the DLC disk back in before launching the game. Then you should be able to access anything. I haven't confirmed this myself because I don't own a copy of the Ultimate Edition, but if you do this you should be OK.
Do you ever get overwhelmed by the sheer size of a game and suffer from indecision about what to do next? That has happened to me with Assassin's Creed: Odyssey this week. I have been playing it every day since I received it last Friday, but yesterday I needed to take a break. I have already managed to put 20 hours on the clock though so that's probably understandable. Things were going well to begin with - the game limits you to the fairly small island of Kephalonia for the first few hours, giving you some freedom to explore and get used to the mechanics of the game. A lot of it will feel familiar to those who play Origins, but there have been some siginificant changes. Origins took some steps towards becoming a full fledged RPG, and now Odyssey has gone all the way there. Instead of simple outfits that just changed your appearance, you now have helmets, torso armour, gloves, belts and boots as well. This has increased the level of enjoyment for me because it means the random loot you find and treasure you pick up is a lot more meaningful. There are a lot more dialogue options with important decisions to be made that will affect direction of the overall plot, ala Mass Effect or The Witcher 3. Then there are the multiple levels of side quest. First is the mercenary system, which is quite similar to the nemesis system from the Middle Earth games but a lot less annoying. While random mercenaries will come after you, they will only do so if you have a bounty on your head, which you can pay off from the map screen at any time, or just wait for your bounty level to drop over time. These mercs have strengths and weaknesses much like the Uruk Hai of Mordor and there are no less than 9 tiers of them to work your way through. They don't appear to be randomly generated though, or at least not the early ones. At the end of the starter zone in Kephalonia you will get access to your ship, but you won't really be using it very much as much of the first 15 or so hours takes place on land. There are vast areas of water to explore further on into the game, but it takes quite a bit of time to get there. Not long after you get your boat, the game reveals the next system: the Cult of Kosmos. There is a large network of 30 or so targets that need to be taken down, and their identities remain hidden to begin with. You have to explore the world and find clues before you know who is part of the cult, then you can go and murder them. The higher level the cult member is, the more clues are required, and these high end cultist are level 50 or close to it so you won't be able to finish all of this until the end game or beyond. In addition to this, I also did an optional quest to kill a legendary boar, which then triggered seven more similar quests to hunt down similar legendary beasts all across the Greek world. When you add in the daily and weekly notice board quests that can be completed for orichalcum and traded for good weapons and armour, you have quite a lot to be getting on with. You're looking at a game that will easily take 80 or so hours to finish if you want to do everything, which I do and I was fine with, until I got to Athens. With the city sprawling in every direction as far as the eye can see, and the map screen littered with question marks, I started to feel like it was getting too much, and that's when I needed to take a break. I have no problem with the massive length of the game, as I can just chip away at it a little bit for months to come. It's more the sheer number of options of where to go next - just visiting all of those questions marks in Athens will take hours, and it's just one district in the huge land mass of Attika. In addition to this, there are another four or five places on the map that I could go to now that I am level 20. I think what I have decided to do for now, is to focus on taking out the low end cult members, working my way systematically through them and thoroughly exploring the rest of whatever island they happen to be on as I go. In between I will play around in Athens for a little bit, but not try and do the entire city in one go. For me the best parts of the recent Assassin's Creed games has not been the densely populated areas, it's been the open countryside and the highly atmospheric tombs, of which there are many to be found in Odyssey too. I haven't even got to the point where you can fight the mythical creatures like gorgons, minotaurs and so on yet, though I know this is in the game because various streams have shown game play of it. I will also be taking regular breaks from Odyssey to play other stuff like retro games and Forza Horizon 4. I am really enjoying my time with Odyssey, but I am wary of burning out and not finishing it. It wasn't that long ago that I finished the DLC for Origins, after all. Kassandra seems like a really great protagonist from what I've experienced so far, up there with Ezio, Edward Kenway and the Frye twins, so I want to see this game through to the end. I might have another update as I get further in, or I may just wait and write a full review when I'm finished, we'll see! I had hoped to get at least one or two more of my Summer Backlog Challenge list completed before the deadline of September 23rd, but alas this isn't going to happen. Still, I did manage to pass the challenge by completing five out my ten choices, so I don't feel to bad about it. I still intend to finish the rest of the games, just on my own schedule. I will try and make a point of finishing sooner rather than later though. A number of things happened which caused me to drop the ball towards the end of the challenge, unfortunately. Firstly, a ton of triple A games all dropped within a short space of time. First it was Yakuza Kiwami 2, then Dragon Quest XI, and mostly recently Spider Man. So I spent quite a bit of time playing each one of these instead of focusing on my challenge list. Then, my cat grew very ill and had to be put to sleep, and I haven't really felt like spending much time gaming since then. Not on the bigger games, at any rate, I have still been dipping into retro and indie titles a little bit. I will recover eventually, but at the moment I miss my fuzzy buddy. I've also recently acquired an Nvidia Shield TV, which has done it's bit in distracting me away from my task as well. With this little beauty, not only can you stream 4K video from all the usual sources, you can play Android games, install emulators for retro consoles and computers, and play certain Steam games via Geforce Now. This works amazingly well provided you have quite a fast internet connection, and it means I can play some PC games in much higher quality than my poor PC could ever manage. I don't own many of the compatible titles just yet, I have tested out Grim Dawn and Two Point Hospital, both of which are fantastic. The Geforce Now service is currently free because it's in Beta, and I have no idea how much it's likely to cost when it's rolled out properly, though I hear it will be less for Shield owners vs those who login via PC's, Macs or mobile devices. You also get access to a range of 40 or so games to play around with via GeForce now, though most of these are quite old. I have tried out a few of them to see how well it works and I have to say I am very impressed. So far I've tried the 2013 Tomb Raider reboot, Alpha Protocol and Sonic Racing Transformed, and they all look great and play really well. The Nvidia game pad that comes with the Shield TV is very nicely put together - it's comfortable and the buttons are good quality. I have experienced no lag at all with the games and though I haven't tried streaming at full 4K yet, 1080p still looks very nice indeed. The main reason I bought the Shield TV is for the retro gaming - though I do have a Raspberry Pi box which is good for certain things, it wasn't quite delivering the goods for me. With the combination of the ARC Browser, Retro X and ton of great emulators, the Shield TV provides a robust and reliable method of playing the classics, and capturing the footage so I can make more videos for you. That it also allows me to check out Android and Steam games as well is a very nice added bonus! You've probably noticed that I've been releasing quite a few episodes of RetroGrade recently. This is because they are fairly easy to make (though they still take about five hours each). Unfortunately I can't just decide which PS2 game I want to make a video about on a Saturday, play it for a bit and make a video on Sunday (technically I could do this but I would be short changing both myself and my audience), whereas it is possible to play an arcade game for a couple of hours before summing up my thoughts. I realise that I've been saying that PS2 Tuesdays is going to return for a while now, and it is - I just need to work out what I'm going to play and then spend enough time playing it so that I can give it a fair review. That's also why I don't review many RPG's on the PS2, though I hope to try and rectify that by making them either the first or last game in a season going forward. I think I might take a look at Burnout Dominator, Soul Calibur 3 and Rogue Galaxy during the rest of the season, though this is subject to change. OK, I've rambled on enough for now. I am really quite excited about the opportunities that the Shield TV offers up though! As always, if you have any recommendations for games I should check it, be it modern, retro, Android or Steam, then let me know! In the meantime, take care. It's been a few weeks since my last update, so I thought I'd better let you all know what's going on. 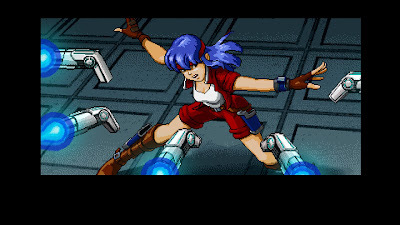 Since I uploaded my review of Cosmic Star Heroine, I'm afraid I've dropped the ball with the Summer Backlog Challenge a little bit and have been playing other things, so this is just a regular game diary. As of today there's only three weeks left to go before the challenge ends, so I need to get on with things and try to finish Pyre at the very least, plus Hob if I can possibly manage it. I do also intend to finish Battle Chasers, Odin Sphere and Growlanser: Wayfarer of Time but they will be outside of the challenge at this point. I can take my time with those but I do want the get to them sooner rather than later - I really don't want another 5 or so years to have gone by before I finish them. I had a week off work last week though, and the busy gaming season really got underway, so today I'm going to go over what I've been playing recently. Before my break, I got back into Assassin's Creed: Origins - particularly the DLC. I finished The Hidden Ones, which I thought was solid but rather dull, and also pretty brief. Then I started Curse of the Pharaohs which is much more exciting, and pretty huge as well. You're looking at least 20 hours of gaming if you intend do everything. I haven't quite finished it yet - I still have two Pharaohs that I need to lay to rest which involve exploring the afterlife and completing some quests before doing battle with them. The boss fights in this DLC have been pretty challenging so far - they have a lot of hit points and hit hard, so you really need to be patient, use arrows to charge up your meter and then let loose with a powerful attack, then rinse and repeat. I was struggling because I kept running out of arrows half way through one of the fights, but then I realised I had two other bow types which each had their own unique arrow counts. The arrows do negligible damage but they do charge up your meter from a safe distance which is the key factor. I also got the urge to play a Diablo style game again, but I didn't really want to just play Diablo 3 again, as I have done that to death at this point. I almost chose to play Grim Dawn, and I still want to eventually, but for now I returned to Path of Exile. While I played through the single campaign a few years ago on the PC, a great deal has changed since then, with a whopping six new acts being added and loads of new features. I'm also playing on the Xbox One X this time, which has been great. The game runs really well and Grinding Gear Games have done a great job in making the controls work on the Xbox controller. I didn't really enjoy the Incursion league and it's new feature where you go into the past and open up rooms within a Vaal Temple, as you only get a very limited time to try and take down a boss and open some doors before you're wrenched back into the present. If you don't manage to open the right doors within the temple, it's pretty much a waste of time exploring it for real when you finally get the opportunity because you won't be able to get to the boss. The brand new Delve league begins today on consoles though and I would like to check it out - it involves exploring an infinitely generated mine with only the protection of torch that trundles along beside you on a cart. Move too far away and you will be consumed by the darkness, though of course the best loot can be found just out of the safe zone. Moving on to brand new stuff, Two Point Hospital was released last week, and it's every bit as good as I was hoping it would be. Anyone who played Theme Hospital 20 years ago and loved it should rush over to Steam and buy a copy right now - it's only about £20 which if you ask me is a bargain! I've only played the first level so far but I have heard there are about 25 in the game total which is loads of quality gaming right there. It does play pretty much identically to the classic game but with much nicer graphics and plenty of quality of life improvements. The in game radio stations are great too with some really catchy, cheesy music and hilarious dialogue from the DJ's. The terrible puns and dad jokes are also in full force and will have you groaning and chuckling in equal measure. The other new game that I've been playing an absolute ton of is Yakuza Kiwami 2. This may be the fourth Yakuza game to be released in the west within the last two years, but I have been waiting patiently for my chance to finally play Yakuza 2 and here it is at last. I was tempted to start the PS2 version last year, but I'm glad I waited because this enhanced PS4 remake adds a load of extra content, such The Truth of Goro Majima mini campaign, hostess club management, a tweaked version of the Clan Creator from Yakuza 6, and a saucy photo shoot mini game. Just playing the hostess club mini game is enjoyable enough, let alone all of the other content! This game is my main focus at the moment, but I will have to cut back on my play time a little bit in order to finish off the Summer Backlog games. Looking to the future now, another two massive games are just about to come out. Tomorrow finally sees the arrival of Dragon Quest XI in the west, a game that I have been longing for since before it was announced. We didn't get Dragon Quest X as that was an MMO released on the Wii and Wii U, two consoles that were either being phased out or weren't successful enough for Square Enix to bother bringing the game over, so it's been years since a new mainline game in the series was released outside of Japan (VII and VIII on the 3DS were nice, but they weren't new). While it will be extremely tempting to dive in to the game as soon as it arrives tomorrow, I shall try and resist until I have the Summer Backlog Challenge is over, and I have wrapped up the AC: Origins DLC and Yakuza Kiwami 2. It will be tough but I can do it! Finally, at the end of the week we have the release of Spiderman on the PS4. I wasn't planning on buying it just yet, but the hype has gotten to me so I have pre ordered it from Amazon. While it does looks like a very good game, I am less excited about it than the other games I've already mentioned today, so it will probably go on to my backlog pile for a while. After that I have a bit of breathing room until October. There is also Shadow of the Tomb Raider in September but I still haven't finished Rise of the Tomb Raider yet, so I don't really feel compelled to pick it up just yet. If I can hold out until the Christmas holidays I expect it will have come down in price by then (something I really should have done with Spiderman, but oh well). Let me know what you're playing at the moment, and what you're looking forward to from the months ahead. There will be another video up on the channel tomorrow, and hopefully another Summer Backlog Challenge update here on the blog quite soon. That's all from me today though, so I'll see you again later, and in the meantime, take care! Welcome back to my fifth review for the Summer Backlog Challenge 2018! With this, I have successfully completed the challenge, which I failed to do the previous two times I attempted this. I'm not going to stop there though, we still have over a month left which should be plenty of time to complete at least one or two more games from my list. For now though, it's time to review Cosmic Star Heroine. First of all though, like always, let's go over a bit of the history. Cosmic Star Heroine puts in you in the shoes of Alyssa L'Salle, a talented super spy in a futuristic science fiction universe. The first mission of the game sees her rescuing hostages and defusing a bomb in a skyscraper with the help of her friends, the "gunmancer" Chahn and hacker, Dave. Rather than being the sort of spy who keeps their identity a secret from all, though, Alyssa is famous across the entire system of planets and has plenty of fans. This fame comes at a price though, and after discovering something that may threaten the safety of everyone, Alyssa finds herself in the crosshairs of would-be assassins, chased by bounty hunters and double crossed by her own agency. From there it's up to her to conduct her own investigation, gather a rag tag bunch of allies and take down the evil that's threatening the universe. The game has a lot of characters that you will recruit over the course of the roughly 12 hour long campaign, 10 not including Alyssa herself in fact. All of them are interesting and have their own part of play in the story, but I found that I didn't really use the later ones very much. Not only was I near the end of the game by the time they came along, I was also quite used to my set up of Chahn, Sue and Psybee (an insectoid alien guy). This is partially down to me though - more adventurous types would probably revel in experimenting with various power combinations, and it certainly is possible to come up with some creative and powerful attacks if you play around a bit. On the whole I enjoyed the story, it moved along at a brisk pace, and the writing was very good with plenty of jokes as well as more serious moments when required. There are plenty of pop culture references that you may recognise. The visuals of Cosmic Star Heroine definitely evokes the look and feel of a PlayStation RPG, such as something by Working Designs, except in full widescreen to make the most of modern TV's, of course. The environments are nice and colourful with plenty of different types of location to explore, from swamps to space ships, and tropical planets. The character sprites are nicely defined and animate well, and there are also nicely drawn character portraits whenever someone speaks. Also, during key scenes there are animated sequences, and quite a lot of work has gone into these. A particular highlight was the concert where you meet Lauren, and she performs an entire song. There is definitely a high amount of care and polish that has gone into the graphics which I really appreciate. 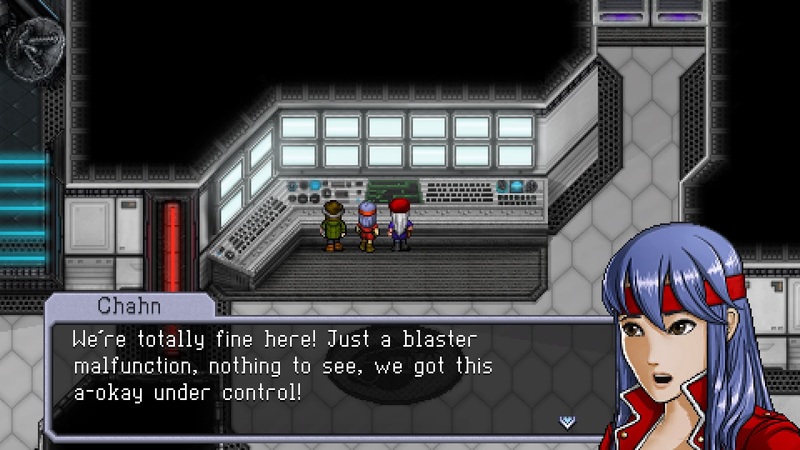 While there is no voice acting at all in Cosmic Star Heroine, I really don't feel that the game needs it. What it does have instead is an absolutely fantastic soundtrack thanks to Hyperduck Soundworks. Highlights here include both the regular battle music and the boss music, and the song from Lauren's concert once again which does include vocals. I've used each of these pieces of music in the background to my review, so I hope Zeboyd / Hyperduck don't mind! The other component here are the sound effects, which are also very well done. Each ability, such as Dave's Zap or Chahn's Purification Torch have their own sound associated with them which are well crafted and sound suitably sci fi. Here's Chahn in her introductory cut scene. In battle, Cosmic Star Heroine adopts the Chrono Trigger style of encounters where enemies can be seen wandering the map and you actively engage with them, rather than the classic random battles. Then, the characters and the enemies take turns biffing each other depending on their speed statistic. Alyssa and friends have up to eight abilities that they can choose from at a time, most of which can only be used once before you have to defend and recharge them. Some of these abilities will be purely offensive such as Alyssa thwacking something with her bo staff or Dave zapping something with electricity, others could be buffs to boost defense or offense, and others still can have some interesting effects. Take Clarke for example, the disco dancing robot who joins your ranks roughly half way through the story. He has an ability called Mortify, which means that the rest of the party does more damage while he's dead. You activate it, then on Clarke's next turn you either choose an ability that kills him and heals the rest of the party, or kills him and does massive damage to all the enemies. He's dead for the rest of the battle but everyone else is now stronger. This is probably something you want to save towards the end of a boss battle, but it's an interesting mechanic. Equipping new weapons and shields can also give you access to new "programs" in battle which are additional abilities that can be used. The battles themselves always move along at a brisk pace, with animations playing out smoothly and responsively which is very much appreciated. Those who have experienced the terrible PlayStation versions of various Final Fantasy games will attest to just how annoying it can be when it takes ages for a simple animation to load, but there's none of that here thankfully. 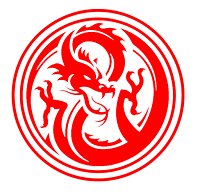 For roughly the first half of the campaign, your party is preset but different characters will be swapping in and out as the story dictates, which means that you will have to learn and adapt to new skill sets quite frequently. This keeps things interesting. Eventually though the game will open up and you will have free reign over who you bring with you. You also get your own spaceship and can travel back and forth between the three planets in the game at will, though the main story does remain linear - this just allows you to go off and do some optional quests for your various party members should you wish to. 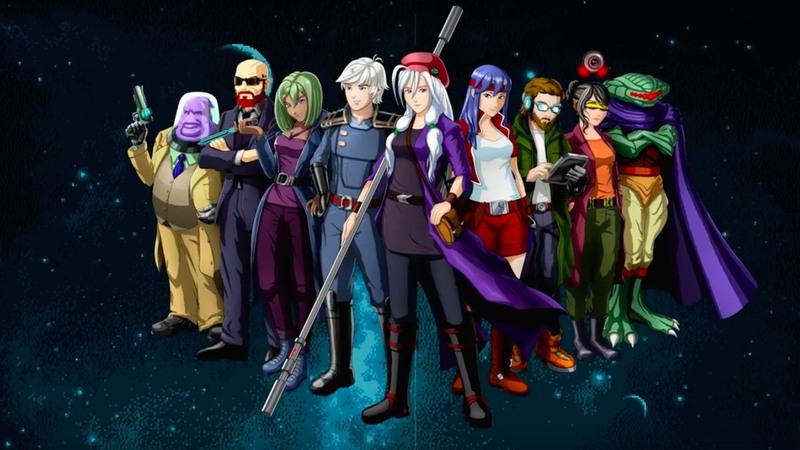 Cosmic Star Heroine features a large and diverse cast of recruitable characters. While Cosmic Star Heroine is hardly the longest RPG, I do feel that you get your money's worth. If you just focus on the critical path then it will probably take you around 12 hours to complete on the standard difficulty setting, which is a decent amount of time. There are some extra challenges that can be sought out though, such as boss battles with Dem Bones from Breath of Death VII or Cthulhu himself. These are likely to require a bit of grinding before you will be able to take them on. There are also four separate difficult options, ranging from Tourist for people who want the game to be a cakewalk, up to Heroine for those who want a steeper challenge. I found that the normal difficulty was about right for me - it was a perhaps a little on the easy side for most of the game as long as I didn't avoid too many fights, though I did still die a few times during some of the boss battles. This was usually a case of me either trying to rush through the fight too quickly or not knowing the best strategy, and usually a simple change in tactics or a more patient approach would see me through. The game isn't terribly replayable really - the story is going to play out the same way regardless of what you do, though you could start over on a higher difficulty. It is well written and entertaining enough that I could see myself coming back to it again after a while, I guess. This gets less likely the bigger my backlog gets, unfortunately. While the plot and setting are not terribly original, Cosmic Star Heroine deserves some points in this category because of it's well thought out battle system. Each character has their own palette of abilities that have been very well thought out and often work in conjunction with the abilities of the other characters in interesting ways. Limiting the palettes to eight active slots and giving out new abilities as you level up really forces the player to think hard about what they will leave out. It is quite easy to quickly swap out a party member or an ability depending on the type of enemy you're likely to face in a given area, however. Very smart stuff indeed. I had a lot of fun playing through Cosmic Star Heroine - so much so in fact that when I finally did start playing, it only took me a few play sessions to reach the end because I didn't want to stop. The writing, graphics, music and compelling battle system all combine to deliver an extremely solid RPG that will keep the majority of players amused for a minimum of 12 hours, potentially longer if they decide to increase the difficulty or seek out all of the optional challenges that the game has to offer. If you own a Switch and you enjoy a good RPG then do seriously think about picking this up - it would work very well in handheld mode. I look forward to seeing what Zeboyd Games does next! David has been playing games from around the age of 6 years old, starting on the Commodore VIC-20, and moving through the Atari 2600, BBC Micro, Commodore 64, Commodore Amiga, Nintendo Game Boy, SNES, Game Gear, PlayStation, N64, Saturn, Dreamcast, Game Boy Advance, PlayStation 2, Xbox, Gamecube, GBA SP, Nintendo DS, Xbox 360, PSP, DS Lite, Wii, GP2X, PS3, DSi, Megadrive, PS Vita, 3DS XL, Wii U, PS4, Xbox One, Retron5, GPD XD and most recently the Nintendo Switch.